Summertime can be a wonderful season, although oppressive heat can become a major turn-off, in spite of all the many things can do to enjoy the summer months. A lot of houses, although well-designed to keep heat in during the winter months, are often poorly designed to let heat out during summertime, sometimes making their interiors veritable ovens. Cooling off becomes a chore in itself during the summertime in some areas, and more often than not a very, a costly endeavour at that! 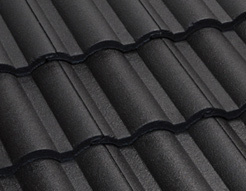 Breathability – The way Boral tiles are installed makes it a breathable roofing material, unlike other roofing tiles and shingles, it allows airflow to pass through the rafters just enough to provide ample natural cooling throughout the structure. Solar reflectance – this means that Boral tiles have the ability to reflect solar rays. 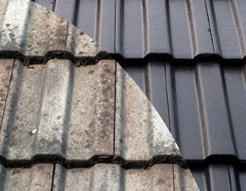 While this is natural for concrete roofing tiles, it can be more effective by reducing heat by choosing a reflective type of coloured glaze which also repels water, preventing moisture from penetrating into the surface. In fact, Boral roofing tiles can reflect up to 53% of the heat generated by the sun’s rays. Thermal Emittance – this means that heat generated by the sun’s rays is disperse rather than retained in the tiles, that is just what Boral tiles can do better than other roofing materials available today. Saves money off cooling costs – because Boral tiles use air flow to keep cool, have the ability to reflect the sun’s rays, and then disperses the heat generated by the sun, the cost of cooling your home is drastically reduced. This saves homeowners a considerable amount of money each month when cooling their homes during the summer season. If you are planning on reroofing your home, but want the best roofing material available to beat the heat during the summer season, then Boral roof tiles are the perfect choice. 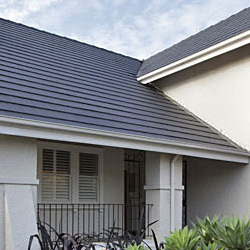 Here at Ajax Gregson Tiles, we help homeowners to beat the heat during summer months, and save money off energy cooling costs by installing Boral roof tiles. If you want to invest in the best roof for your home, contact Ajax Gregson Tiles today, we offer a free, no obligation consultation and are happy to answer any questions you have about roofing.